So you’re headed into a mosquito-infested area and you’re wondering how you’ll approach bug repellent, eh? Problem: There are approximately one thousand and one bug repellents on the market, all of which say the same basic thing: Die, mosquito, die! A lot of people just cut to the chase and go with a 100% DEET solution, opting to smell like they took a dip in a chemical acid bath. Hey, whatever works, right? We purchased a variety of repellents before we left for Peru, from 100% solutions to slightly scaled down, less intense versions, possibly because we were concerned with our own health. Will any of them work, though, was the question. It was under such circumstances that we were once again staring at a wide assortment of bug repellents at REI, totally clueless and indecisive, when up comes a chipper bearded man. 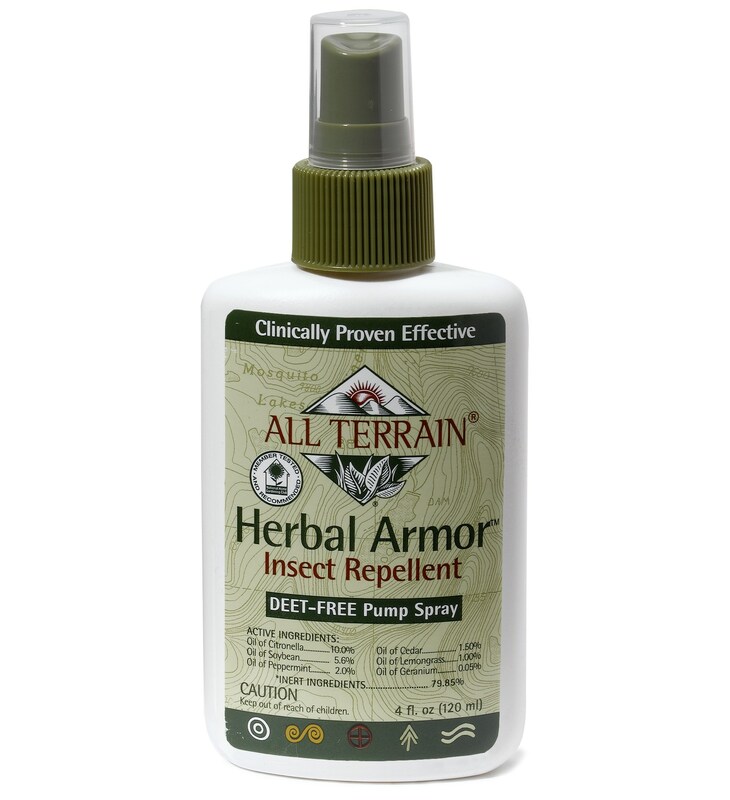 All Terrain Herbal Armor Insect Repellent. Oh, goodie. Herbal Armor to the rescue! I had visions of dreadlocked hippies smoking joints while they rubbed each other in this stuff, perhaps drinking a few drops, thinking it’s good for their energy fields, while swarms of bat-sized mosquitoes feasted all night long. But even the lady at the register was raving about Herbal Armor, so I figured it couldn’t be too ineffective. If so, I know where she works. My plan going in was to start DEET-free and work my way up from there. If dousing yourself in gasoline was the only solution, I’d probably do it. I made the mistake of putting Herbal Armor on while my pores were the size of quarters. It felt like I had hot coals all over my body. Better to go deep, I suppose. At one point, I watched as a dozen mosquitoes attempted to land on my arm. I was inviting them to try. Not a single one of them would commit. Over the next few days, I had only a few random, excusable bites. That is to say, big, bad Herbal Armor actually works. For me, at least.